With Aston Villa bringing in Wolverhampton Wanderers defender Kortney Hause in recent days, head coach Dean Smith has now given his full thoughts on the capture of the young talent. The 23-year-old came through Wycombe Wanderers’ youth setup and earned the move to the Molineux back in January 2014, notching up over 70 appearances to his name in the Wolves first team and at least from what I can tell, his progress was only stunted when they went Portuguese. With Villa clearly in need of defensive cover, Hause should certainly get decent game time in the second half of the year and with some stories claiming he failed a medical and we wanted a permanent deal originally, Smith certainly gave no indications of that as he spoke to the Official Site this week. With the player now in training for us, Smith praised his ‘attitude, application and character’ stating that he was already looking a ‘bright’ capture for us. 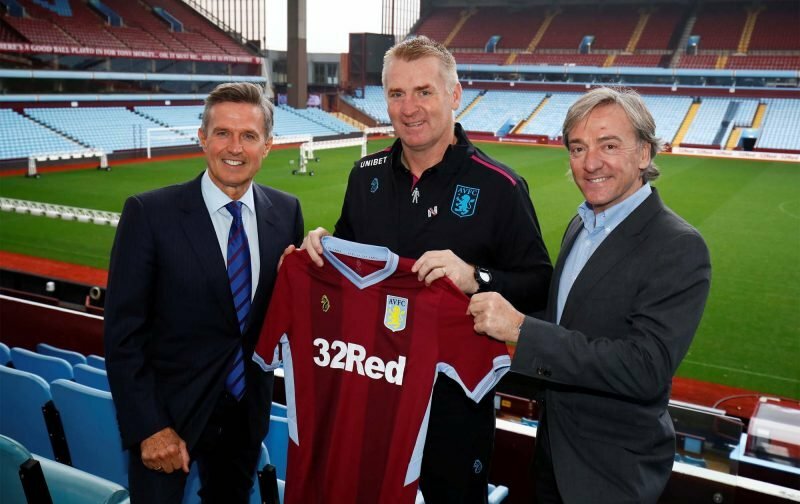 In the full nine-minute interview above, Smith also spoke about the loan to buy nature of the deal, insisting it was the only way forward as Villa can’t keep on training up other clubs’ players with no long term benefit for ourselves and that will be music to the ears of fans given the number of stop-gap loans we’ve had in recent seasons. We seem to finally have a plan! The gap between premier league and championship is shoxking. To long in this league we will be riddled with championship players. We already are. Premier league talent don’t come to championship. Simple as. I like fact he young. So much work to be fixed thanks to Lerner. He made us unsustainable and only buyer was a crazy Chinese gambler who in hindsight his utter balls bought us to our beautiful patron owners. Long term we a top 4 premier league team. But now cause of restrictions we have to be patient.